An everyday life's Odyssey » After the rains in the valley. After the rains in the valley. After the rains in the valley. 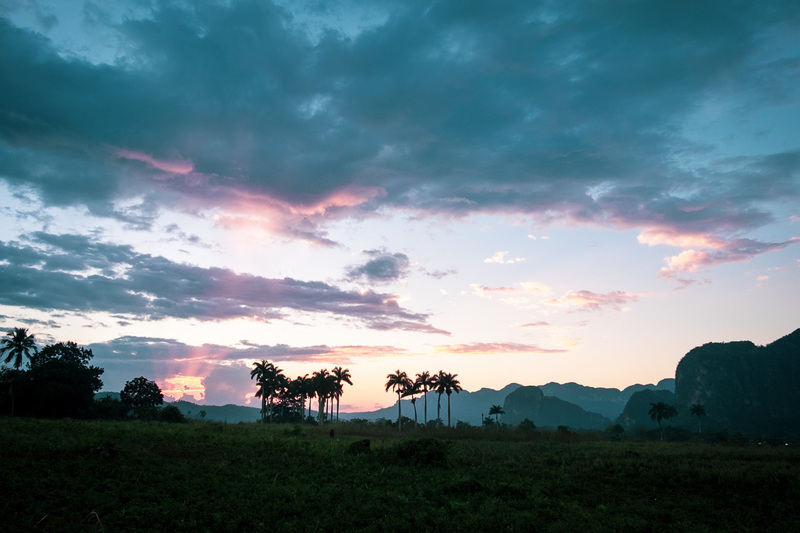 Viñales valley, Cuba. We walked to high point on one side of the valley in the morning, and we stayed there for a while, with a drink and a book, waiting for the rain to be over. After few hours, it stopped pouring, and we figured it was time to go back. Of course, I had this stupid idea that we should return using the same pathways through the fields, which had turned into big puddles of mud. It took us a while to find our way, as the sun was going down, all covered in red mud and tired of trying not to fall. Right after the sun went down behind a mogotes, few rays were sill up, and I took the shot.